When you take a closer look you will see that there is great attention to detail, and the little aspects come together perfectly to create this timeless masterpiece. 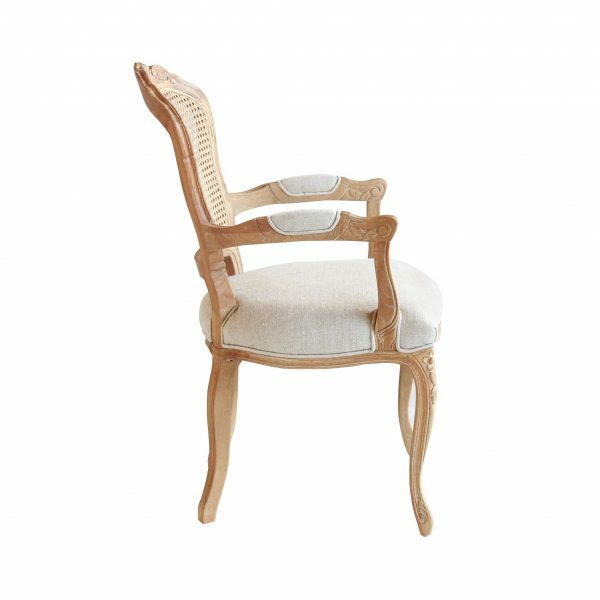 There are small detailed carvings, along with a distressed feel to the overall frame of the dining chair that allows it to stand out from the rest. 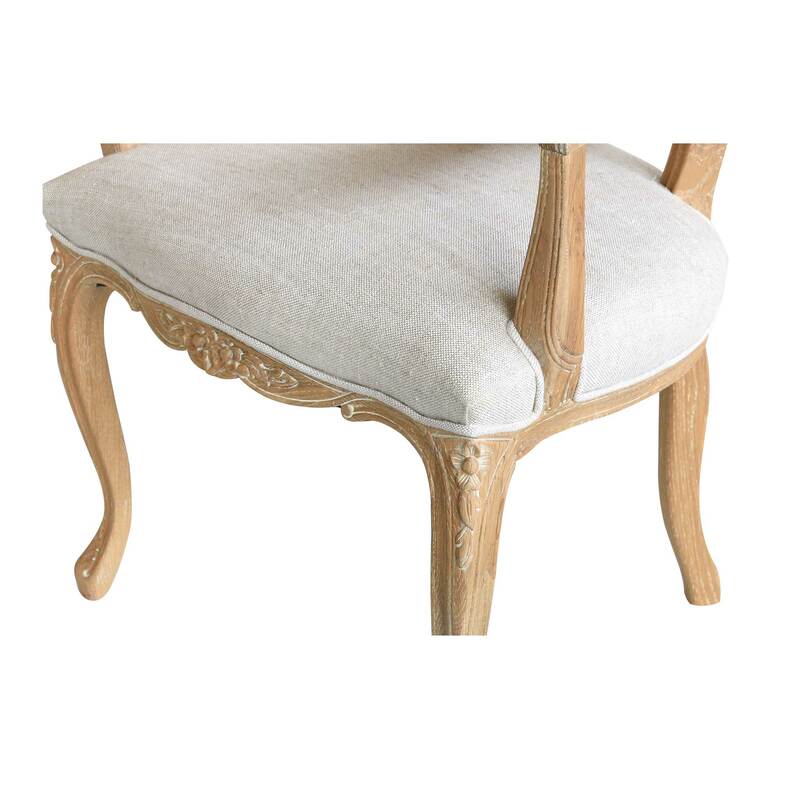 The fabric offers a great textured feel and comes in a neutral color that can easily fit in your modern or classic themed dining room. 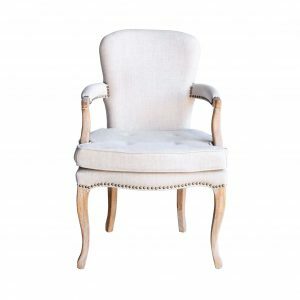 The Lacey French Provincial Armchair is designed with beautiful French Provincial style influences. 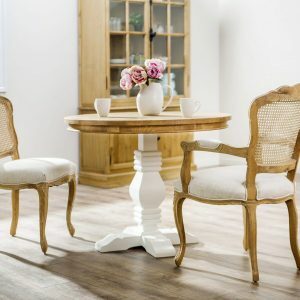 Its timeless features and stylishly curved solid oak timber legs make it a beautiful addition to modern living spaces. 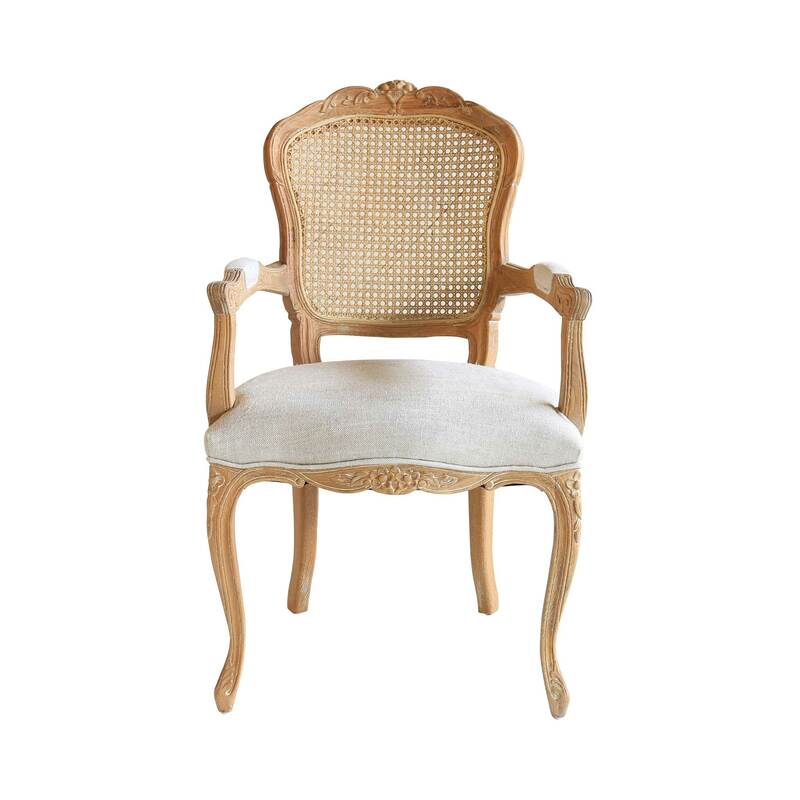 The Lacey French Provincial Armchair is not only stylish, but is designed to maximise comfort. 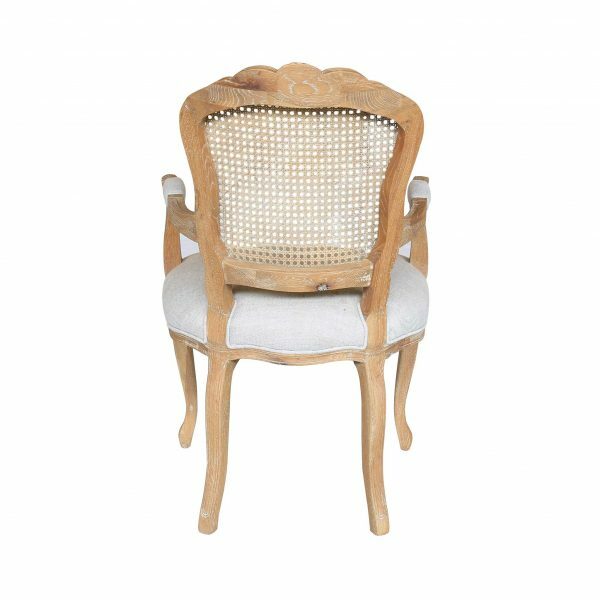 crafted with durable linen upholstery, these dining chairs will provide for you an endearing and comfortable sitting space. When you take a closer look you will see that there is great attention to detail, and the little aspects come together perfectly to create this timeless masterpiece. There are small detailed carvings, along with a distressed feel to the overall frame of the dining chair that allows it to stand out from the rest. 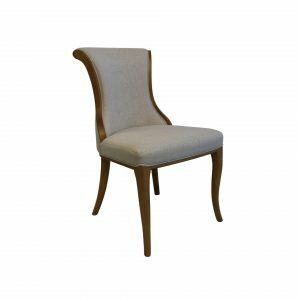 The fabric offers a great textured feel and comes in a neutral color that can easily fit in your modern or classic themed dining room. The curved rattan back and base make comfort a key feature of the Lacey range. The solid oak frame and legs offer a warm rustic feel in a modern setting. Attention to detail in the oak timber, along with the natural linen fabric make for a beautiful combination. The Lacey collection is crafted by us to our highest standards of design and quality. 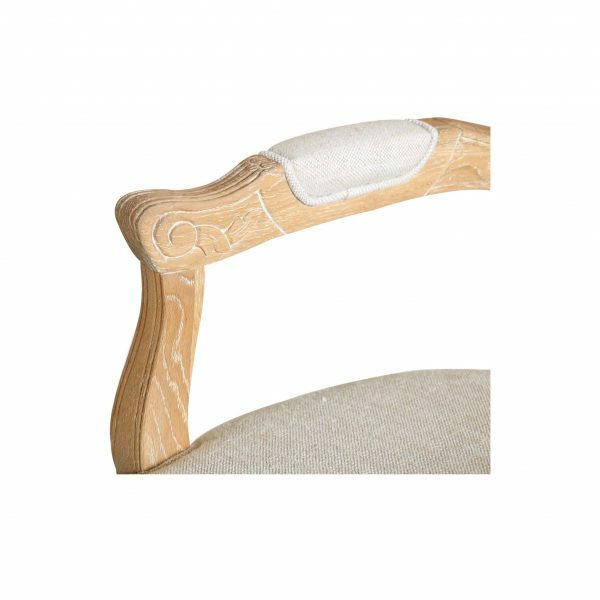 The foundation of the solid oak timber framing quality and 100% natural linen seat and back will ensure longevity in your home.